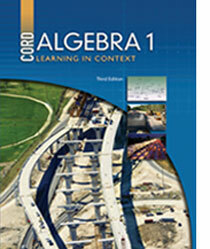 NEW This page demonstrates how to solving systems of equations using graphing. NEW Video lecture teaching about graphing to solve systems of equations. NEW Worksheet with quick presentation of solving equations by graphing followed by practice problems and solutions. NEW Online solver for pair of linear equations by the graphical method. NEW Tutorial for using graphing to solve systems of equations, including the special cases discussed in the text. This page shows how to solve systems of equations using substitution. NEW This site explains solving systems of equations by substitution by solving an example in detail. NEW Worksheet with quick presentation of solving equations by substitution followed by practice problems and answers. This page explains how to solve systems of equations using addition or subtraction. NEW This page gives example solutions of problems for solving systems of equations using addition or subtraction. NEW Worksheet with quick presentation of solving equations by adding or subtracting, followed by practice problems and answers. This site explains how to solve systems of equations by using multiplication with elimination. NEW Worksheet with quick presentation of solving equations by adding or subtracting after multiplication, followed by practice problems and answers.